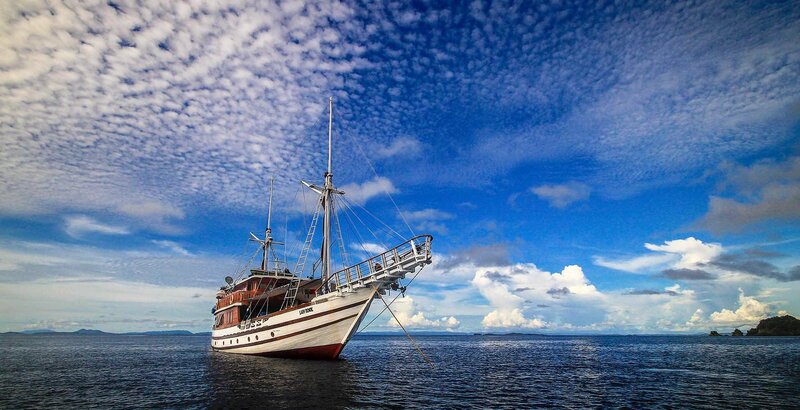 On and from this beautiful liveaboard you will sail and dive into the waters of the Komodo National park. Departure and arrival place is Labuan Bajo, West Flores. Let yourself be pampered by the crew and amazed by the beautiful sea gardens. You also visit the island of Rinca. During a trekking across the island you will certainly see one or more Komodo dragons. International and domestic air fare, National park entrance fees, Alcoholic beverages, Dive or snorkel gear, Travel insurance, Obligatory Dive insurance, Laundry, Tips for the crew, On-board telecommunications. We will board your new home for the next days and check you in, into your cabin on Lady Denok Phinisi. Gili Lawa Laut: Here we have several good dive sites named Crystal and Castle Rock, and the Lighthouse all full of a various marine life. Crystal and Castle Rock with huge schools of Barracudas, Trevalies and Mackerels also Sharks, Napoleons and Sweat lips, beautiful sea fans and corals. At the Lighthouse we will see pyramid butterfly fish and maybe also octopus. 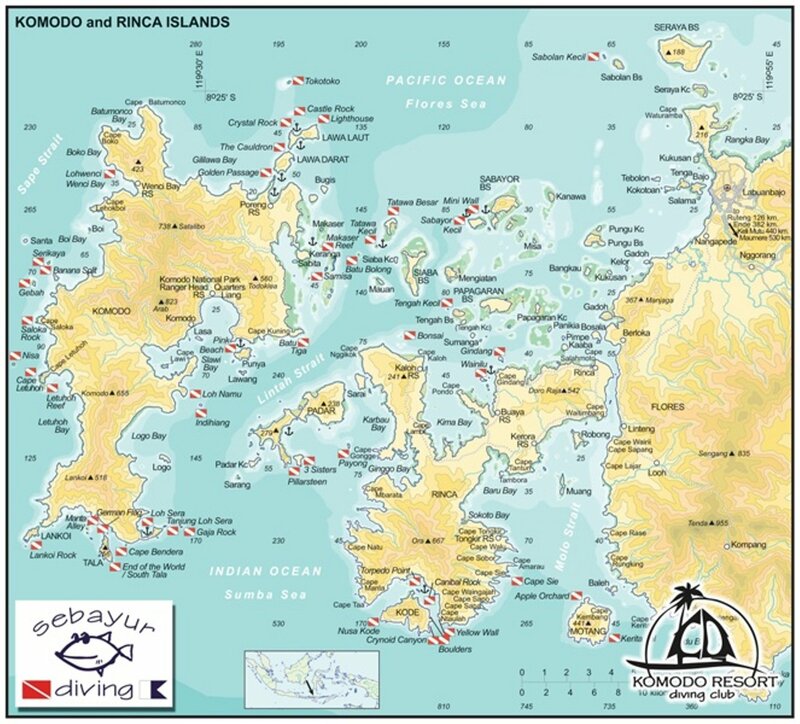 The dive sites in this area are The Golden Passage, the Couldrain and coral garden; here we can see Manta, Reef Shark, Giant Wrasse, Turtle, Giant travaly and Dogtoothed Tuna. Today we will sail over Makassar Strait to Batu Balong and Tetawa Besar. Thousands of fish in all possible colours and shapes at Batu Balong. Napoléons, Unicorns, Moray eels, rainbow runners. 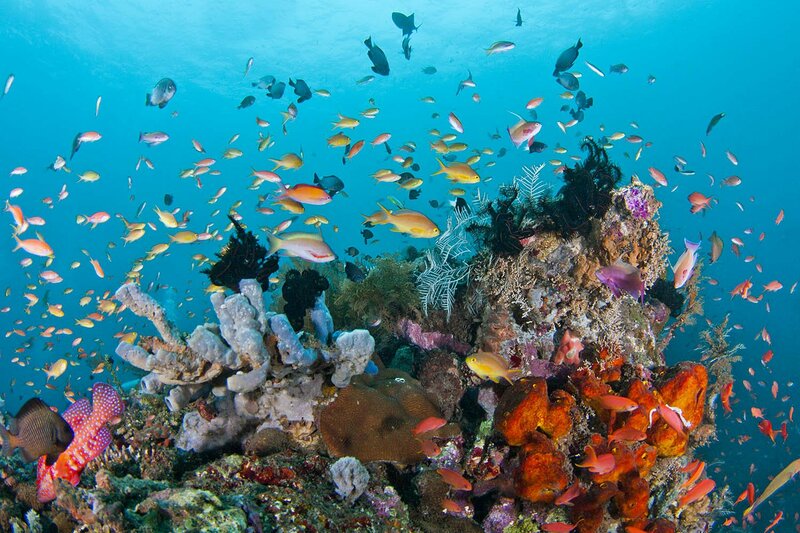 Many big fish and good coral diversity can be seen along its steep wall. And in Makassar strait (drift diving) we can see Mantas at there cleaning station which will give us the chance to see them even closer as we (hopefully) saw them at Gili Lawa Darat. Beautiful coral garden at Tetawa Besar with turtles and full of small fish. Pantai Merah to Batu Tiga and Rinca. We will have an early morning dive at Pantai Merah or at Batu tiga, which is a “big fish dive”, Manta, Giant Trevaly, and Reef Shark. And after sail towards “the Dragons” on Rica island. 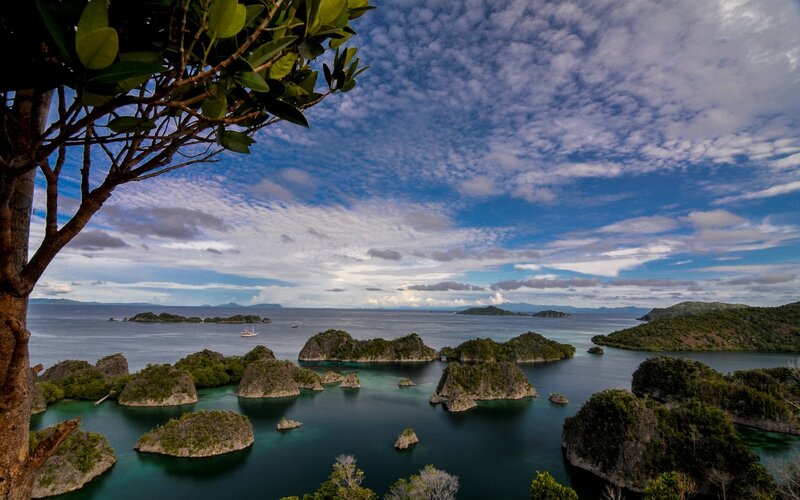 We will arrive in the afternoon at one of the main highlights for a trip to Komodo other then diving, the Island Rinca, where rangers will accompagny us for a two and a half hour trek, to see the legendary prehistoric lizards, the Komodo dragons. After the Dragons we will drop the anchor at “Bat” Island a small island with mangrove forest, it features beautiful panorama and amazing view when thousands of flying foxes (bats) fly out from their nests at sunset. Departure day; snorkeling and enjoy the beach at pulau Bidadari “or other beach” before your transfer to the airport.